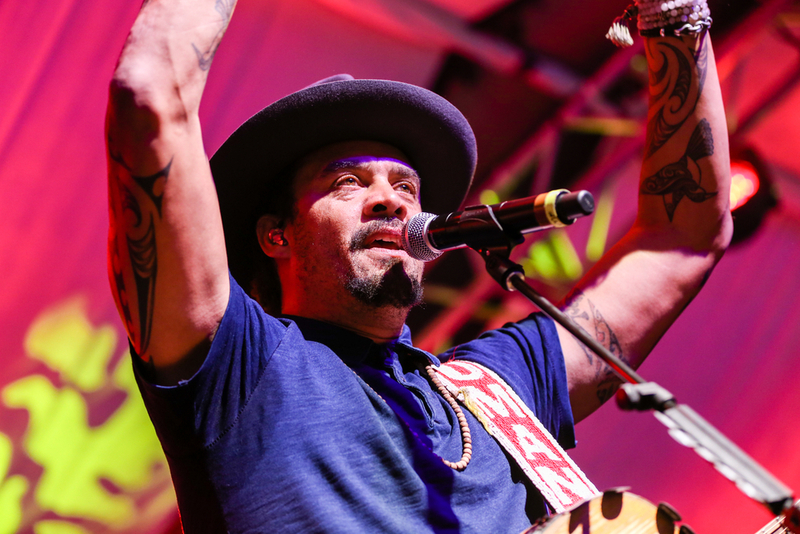 Recognized for his positive shows, charismatic vibe and catchy tunes that just about everyone can agree with, the Sunset Green Event Lawn is excited to welcome Michael Franti & Spearhead to Key West on Oct. 22. The musician, humanitarian and filmmaker will perform as part of his “Stay Human” tour at the outdoor venue. Michael Franti & Spearhead are veterans to the stage, blending reggae, pop, funk, folk, jazz and rock genres to create their own unique sound. Guests should make sure to arrive early to catch up-and-coming frontliners Dustin Thomas and Victoria Canal. Thomas is a free-spirited, big-haired singer songwriter who plays acoustic sets with a singalong format; Canal is a singer-songwriter who plays piano, guitar and ukulele, noted for her vocal talent and feel-good songs. Expect a lot of positivity and good vibes at this outdoor concert at the Sunset Green Event Lawn at 3820 N. Roosevelt Blvd., right next to 24 North Hotel. Doors open at 5 pm and the show starts at 6 pm. Concert-goers are encouraged to bring chairs or blankets to lounge on the lawn and enjoy the show. No coolers or outside food and drink permitted. Tickets are available through Ticketfly. The Sunset Green Event Lawn is a multipurpose outdoor space that has been a hub of activity since its recent opening. It’s hosted Grammy award-winning headliners like Rick Springfield and Michael McDonald with events ranging from a silent disco party to a MMA fight night. At over 12,000 square feet, the outdoor venue is designed to host weddings, concerts, family reunions, movie nights and more, with a capacity of 1,200. Guests who rent the space have flexibility to make it their own with amenities, including tents, dance floors, portable air conditioning units and more. Additionally, onsite amenities at 24 North Hotel make the Sunset Green Event Lawn perfect for hosting a large group or organizing a corporate event. You and your guests won't have to worry about accommodations and can instead enjoy all the perks of 24 North. An onsite Starbucks and the newly-opened Republica Bar & Lounge is located right off the lobby. Plus, the ease of our hourly shuttle service to Mallory Square makes choosing 24 North a no-brainer. Read more about upcoming events at the Sunset Green Event Lawn, or read more about the space to host your unique event. Thinking of booking a stay in Key West? Check out specials at 24 North Hotel, located right next door to the Sunset Green Event Lawn.